An E-Tech Economizer Can Keep Your Energy Dollars from Vaporizing Into Thin Air. Economizers from E-Tech capture your wasted revenue – and may be eligible for some government grants and rebates. The Economizer and Heat Recovery Experts. E-Tech manufactures economizers and other waste heat recovery products that can save your company significant money on energy. Our heat recovery economizers, boilers and heaters have been engineered and distributed to customers since 1976. The Authorized Kentube Engineered Products Manufacturer. Do you have a Kentube Engineered Products economizer at your facility? 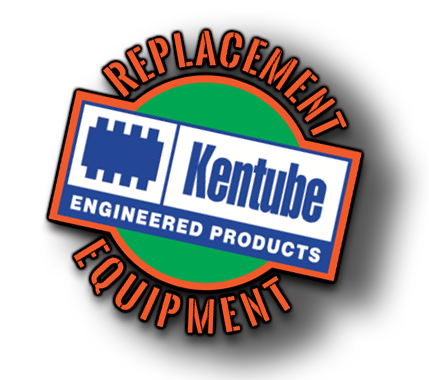 As the only authorized Kentube Engineered Products manufacturer, we offer replacement for Kentube Economizers. We recently acquired the assets and manufacturing equipment for Kentube Engineered Products economizers from Fintube and can engineer any size and type of Kentube economizer for your applications. Get a quote now. The National Emissions Standards for Hazardous Air Pollutants (NESHAPs) are emissions standards set by the United States EPA for an air pollutant not covered by NAAQS that may cause an increase in fatalities or in serious, irreversible, or incapacitating illness. The standards for a particular source category require the maximum degree of emission reduction that the EPA determines to be achievable, which is known as the Maximum Achievable Control Technology (MACT) . These standards are authorized by Section 112 of the Clean Air Act and the regulations are published in 40 CFR Parts 61 and 63. Our economizer and waste heat recovery product manufacturing processes are well within MACT standards. Custom-made to fit your exact specifications. Ideal for equipping new facilities or retrofits. How our products help you save money and improve your operational efficiency. E-Tech can custom-engineer a replacement for your Kentube Economizers.